We're not claiming to understand the pineapple obsession that's currently sweeping the nation, but we can say it isn't ending any time soon. It all seemed to start at Halloween, when innocent pineapples were being turned into Jack-o'-lanterns. RIP. And currently trending? Decorating pineapples like they're tropical Christmas trees. But if you thought that was all, think again. Christmas trees decorated to look like pineapples are naturally a thing as well. 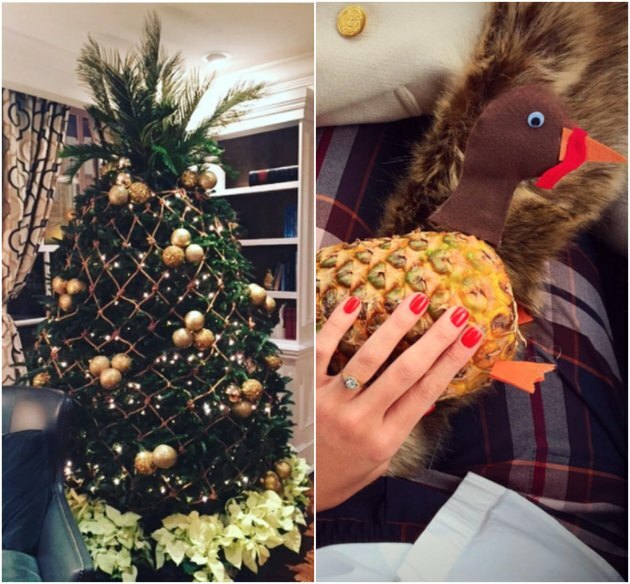 And what would Thanksgiving be without a turkey pineapple? Oh my, we may need some Wild Turkey to digest this one. Where will America's pineapple obsession take us next? Gotta wait 'til Valentine's Day to find out.